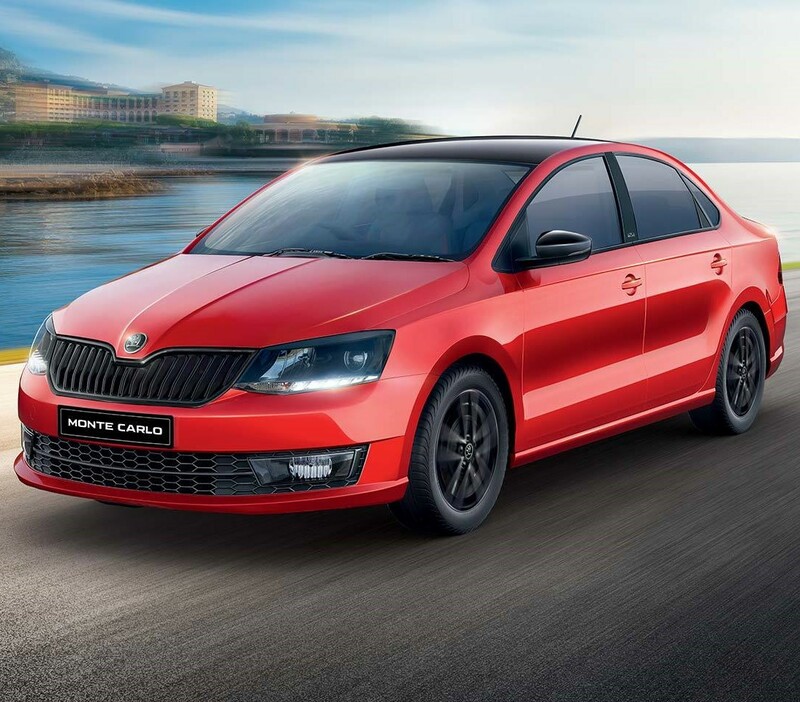 Skoda Rapid Monte Carlo Edition has been launched in India for INR 11.16 lakh. 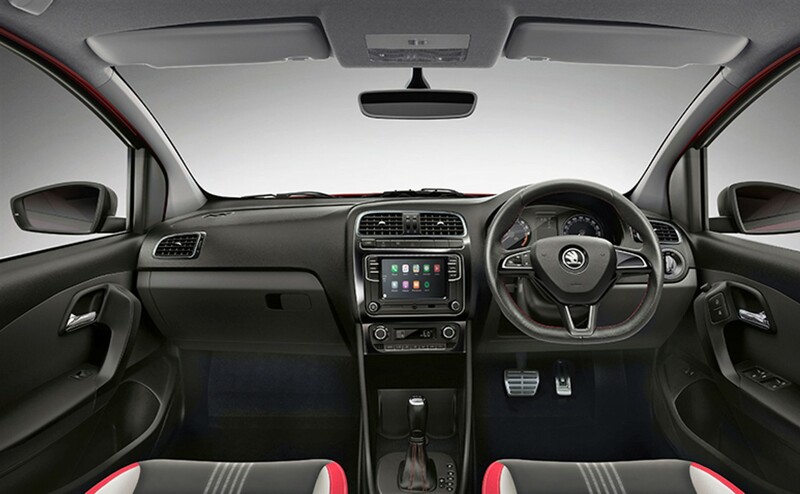 The variant can be had in four different engine-gearbox combinations and the price mentioned here is for the most basic petrol manual setup. 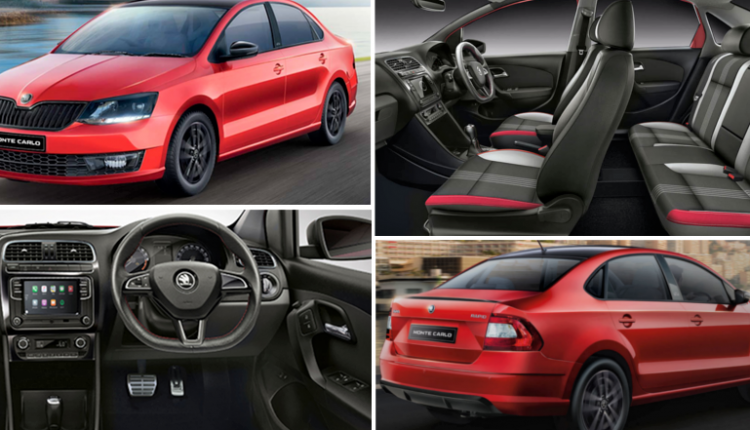 Skoda Rapid Monte Carlo is the first car from the brand to feature the special edition name as two years back, the brand went into a legal fight with Monte Carlo apparels and had to rename the same to Edition X in India. It seems like the problem is now solved and the brand can place their Monte Carlo variants parallel to the normal ones. 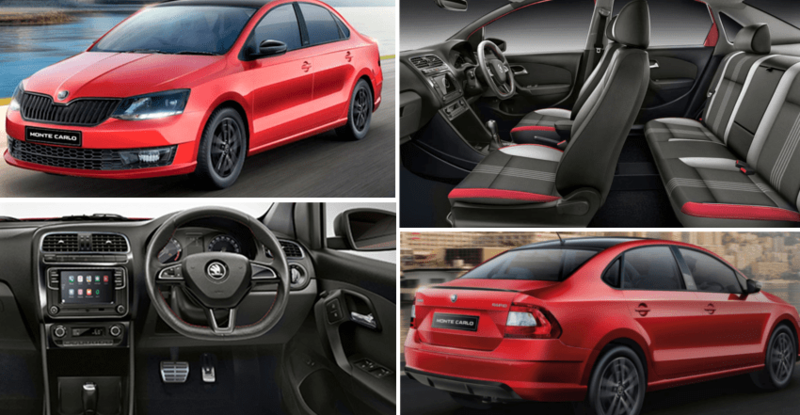 Here is the detailed price list for Skoda Rapid Monte Carlo Edition in India. The price difference from the regular variants is INR 26,000 for both petrol and diesel engine options, including their automatic variants. 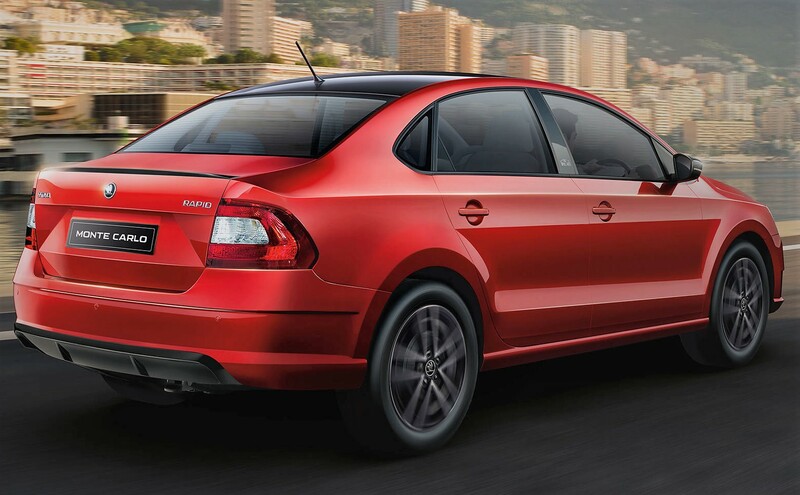 The car is available in special Flash Red shade for the Indian market. 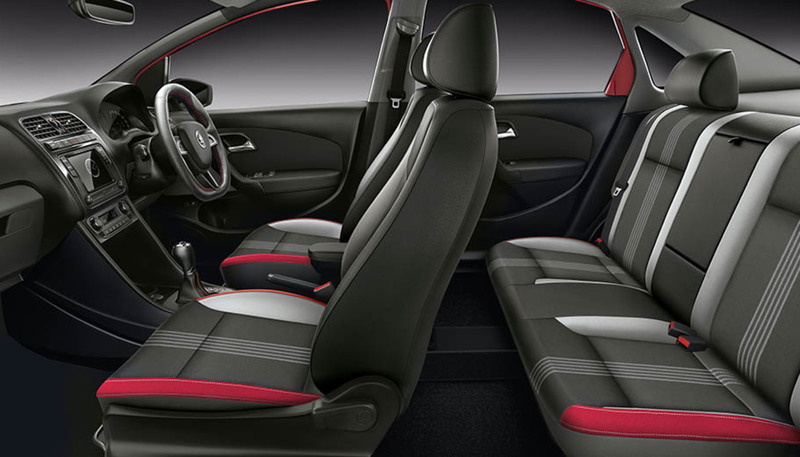 The chrome elements on the top-spec variants turn black in the Monte Carlo Edition, bringing gloss black into action for additional sporty feel from the variants. Apart from these differences, the car comes with 16-inch Clubber alloy wheel design. The pillars now flaunt Monte Carlo branding while black diffuser and roof finish completes the package.